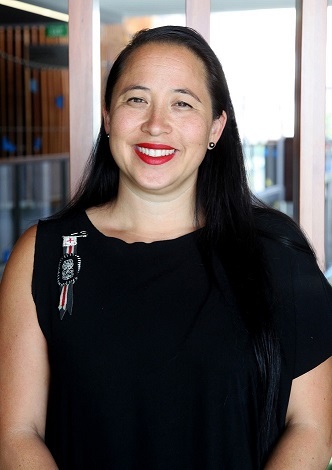 Dr Melanie Cheung, both of Te Arawa and Chinese whakapapa, is a tempest of activity. She is a Fullbright New Zealand Scholar, a recipient of the prestigious international leadership award from the Huntington’s Disease Society of America, and a winner of the MacDiarmid Young Scientists Award in Biotechnology. She frequently criss-crosses the globe, working with international collaborators, riding on canoe journeys with the Suquamish Native Americans and giving presentations in locations that have included the United Nations in New York City. Dr Cheung abandoned her first career in hospitality to pursue biomedical science. What followed was a long string of distinguished scientific scholarships, fellowships and grants. Beginning in pharmacology and a study of the diabetic heart, her current love is the human brain. Dr Cheung seeks to understand the pathological processes that underpin Huntington’s disease (HD) and is investigating whether the debilitating symptoms of HD can be reversed using computer-based, brain training exercises - a dynamic new field called neuroplasticity. Dr Cheung’s work has always fused Indigenous and contemporary paradigms. She has developed new lab practices that are resonant with kaupapa Māori principles. Through hui and kōrero with kaumātua, iwi and whānau, she has developed lab karakia and tikanga for the care of tapu brain tissue from whānau who have died from HD. In her mentor role at the University of Auckland, Dr Cheung has mentored 30 Māori and indigenous science students. On a personal level, Dr Cheung’s confident charisma can disguise the enormous success and dedicated growth she has had in her personal life. In this way, she can seem to be a contradiction: she is an academic warrior with razor sharp intelligence and an often polarising Te Arawa tongue; yet, she is also generous, attentive, self-sacrificing, giving, and a true embodiment of manaakitanga.